When you first start your business, choosing a business name can be the one thing that you go round in circles trying to nail. Then, once you’ve finally decided on The One, it can be crushing to discover that someone else has already taken the domain name. Hold on to your hanky, you still have options. Just because your business name is Dan’s Organic Deli Shop, it doesn’t mean your domain name has to be dansorganicdelishop. You could opt for dansorganics, dansdeli, dansorganicfoodandwine, dansorganic, dansorganicdeli. You get the picture. There is also the option of using hyphens. Although not ideal, if you are really set on the words you simply must have for your domain name, and they’re taken, then using hyphens is a viable alternative. Try to keep them to a minimum though. For example, dansorganic-deli is much better than dans-organic-food-and-wine. Try to stick to shorter domain names if you can. While you have 63 characters to play with, and you may be tempted to stuff it with keywords to help SEO, shorter domains are far more memorable. There is also less chance of spelling mistakes taking them to the wrong site or landing a (very annoying) error message. Then there is the option of using your location within the domain name, for example dansdelibath. This is only going to be right for you if you are a location based business, of course. But for many, it is still an option. This is before we have even mentioned the many domain extensions available. 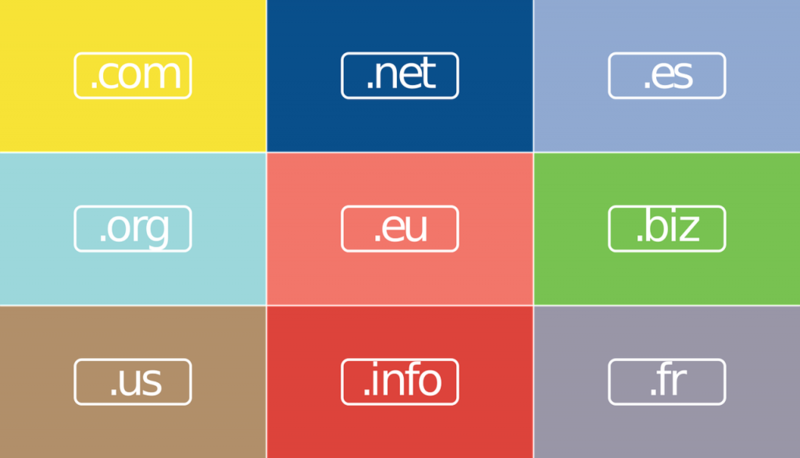 Domain extensions are the suffixes at the end of your domain name, the most popular being the Top Level Domains (TLD) .com and .co.uk. If these are available, snap them up NOW. But what if they aren’t available? Depending on your industry, you could opt for a domain extension that describes what you do, such as dansorganic.food. These are becoming increasingly popular as TLDs become ever harder to get hold of. Be warned though, they can be expensive, and if you have the option of buying a TLD for your primary domain, that’s probably going to be your best option to get you started. Bear in mind that if someone does already have your desired domain name with a TLD, they could be your direct competitors, so buying the same domain with a different extension could ruffle feathers or worse, end up in a legal wrangle. We are not legal advisors and would always recommend you get your own legal advice before making any final decisions. These are usually reserved for not-for-profits, charities and actual organisations. Using this domain extension could be misleading or confusing to your customers. There seems to be a general confusion around what type of business should use this extension. While it has on many occasion been used by businesses as a way of securing their domain name when .com or .co.uk is taken, it is intended mainly for purely online businesses or those involved in technology. Is your website purely for the purpose of compiling information? If it’s not, then steer away from this extension. If you’re a business, this is technically fine to use. But for some reason it does looks a little unprofessional and carries with it the associated trust issues, as with anything unprofessional. There are many more on the market, and I’m sure as time goes by we will be able to buy extensions for pretty much any word. But until then, keep an eye open for the ones that could be relevant to your business, and if your budget allows, buy them and keep them parked to protect them for potential future use. How to use your website like a pro!